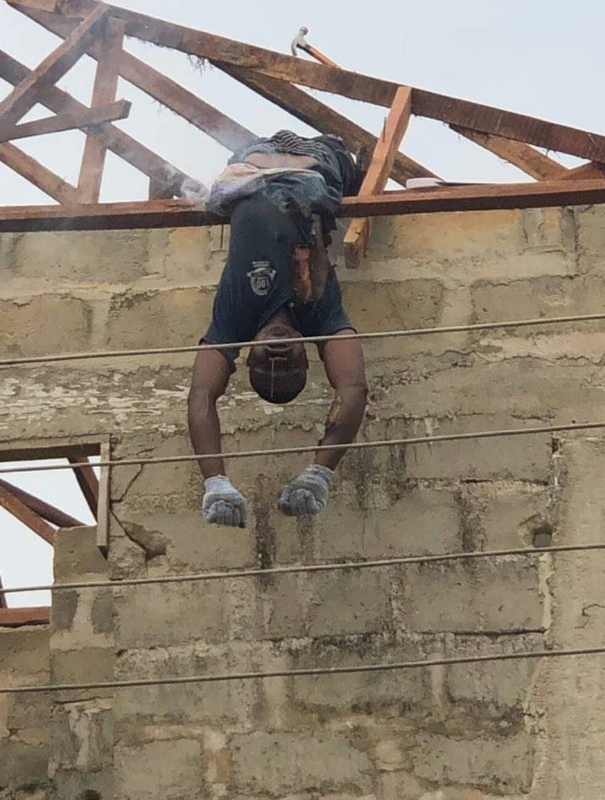 According to an eyewitness, the carpenter missed his step while working on top of the roof and was on the verge of falling. As he struggled, he touched a high tension cable and that was it. The yet-to-be identified man was severely electrocuted that smoke came out of his body.